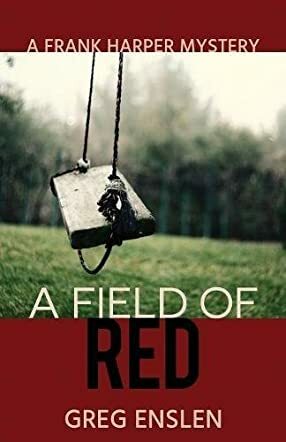 A Field of Red is a compelling mystery featuring a world-weary former police detective drawn into an investigation of the disappearance of two young girls in a small town in Ohio. The protagonist, Frank Harper, is well-drawn: crusty, disillusioned, and haunted by his past. Author Greg Enslen presents a fairly stereotypical lead, but sprinkles in enough interesting details to stop Frank from becoming an outright cliché. Frank isn’t immediately likable (chemical dependence, a standoff attitude, unclear motives), but he grew on me as the book progressed. Far more interesting were the secondary characters, most of whom didn’t rely on genre tropes for their effectiveness. Without spoiling the plot, suffice it to say that those responsible for the disappearance of the little girls are unique and well done. I actually enjoyed those points of view more so than Frank’s. In terms of plot, Enslen did almost everything right. The misdirection is subtle, never ham-fisted, and kept me guessing until about two thirds of the way through the book (I normally peg the “doer” by halfway, sometimes even sooner). Enslen uses some interesting storytelling methods to prevent things from becoming either too opaque or impossible to follow. This is both a “whodunit” and a “whydunit” and both threads drive the story forward. The depictions of small town Ohio are vivid, accurate, and interesting. Having grown up in a small Midwestern town myself, I can verify that Enslen handles those aspects of the story with aplomb. Mysteries must always be about place as much as the characters, and Enslen gets that; he’s an innate storyteller with terrific instincts. A Field of Red kept me turning pages the whole way, and never failed to entertain. If you enjoy a good mystery that really delves into the psychology of the characters and the ethos of place, you’ll love A Field of Red.